Here is part 2 of the conversation with author Jason Chabot. Remember to enter to win the complete three-book set of The Broken Sky Chronicles by Vancouver author, Jason Chabot. 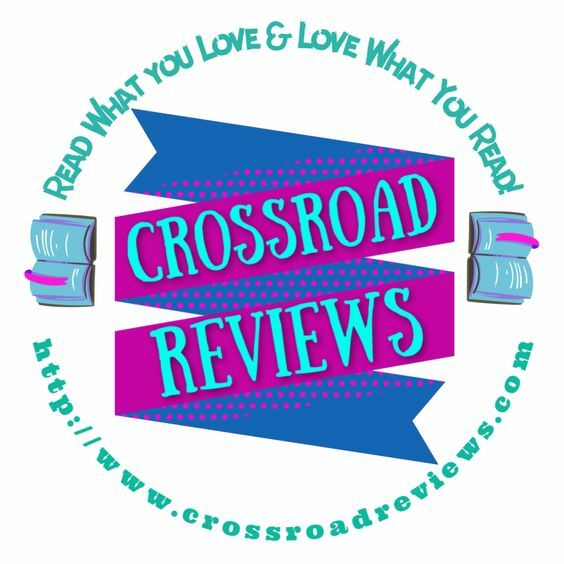 Crossroad Reviews (CR): So where we left off, you had been describing for us how you first started writing your series, as well as your efforts to edit your debut novel. Had you ever written anything before this particular project? Any other completed novels that you have tucked away in a drawer somewhere? Jason Chabot (JC): No, nothing like that. Below was my first work of fiction, not counting any small writing assignments I would have had in school. I always loved reading, although I had never considered actually creating a story of my own. I did keep a diary for quite a long time, which lasted throughout my teenage years and into my twenties, but let me tell you, there sure wasn’t a lot of exciting stuff happening on those pages. But looking back, I know there was a lot of value in learning how to express myself on paper – not ever guessing, of course, that years later I would take on this big project, let alone get it published. CR: That wasn’t your plan all along? To find a publisher? JC: Far from it. Writing a book was just a project I started for my own self interest. A challenge that I had given myself to see if I could actually pull it off, all while hopefully enjoying the whole process along the way. And since I had heard how tremendously difficult it can be to find an agent, let alone a publisher, I didn’t allow myself to consider it as an option for the longest time. 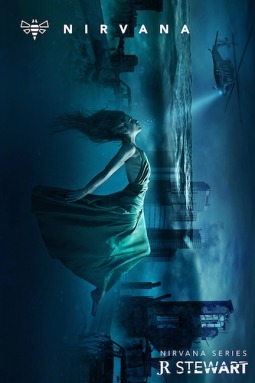 It was only after I had completed Below that I began to think differently. CR: Based on feedback that you had received? JC: No, just from my own sense of what I had created. I hadn’t given the manuscript to anyone else to read, and for those two years it took me to write Below, no one knew I was even making the attempt. Yet with the uniqueness of Elia’s world above the clouds and Hokk’s desolate, lonely life far below, I was certain the book could capture the imagination of readers of all ages. Still, I struggled to get over some lingering confidence issues before eventually putting myself out there to find an agent. I was prepared for a lot of rejection, but knew I just had to go for it to see what I could accomplish. CR: How did it go? JC: Certainly not like I had expected. I had spent weeks preparing my query letter – which is like an elevator pitch to explain who you are and what you’ve written – and I selected five agents to reach out to with my first attempt. Some of them were just starting to build their clientele, while others were well established. These first five agents in particular also wanted to receive sample pages from my manuscript, which was ideal. If my query letter didn’t do the trick, then perhaps they would be hooked with my writing. So I sent out my emails one Monday night, and prepared myself for a long wait. CR: How long did it take? JC: Twenty minutes, believe it or not! And it was a response from my top pick, Daniel Lazar, an agent from Writers House in New York City. Except I didn’t realize the email had arrived because I had already turned off my computer for the night. Since I was in Vancouver, it was well past midnight in New York, so who would’ve expected a response would come through so quickly. It was only the next morning when I checked my messages that I saw an email waiting in my inbox. CR: You must have been thrilled. JC: And he was interested! He wanted to see more of the manuscript! I had caught his interest with those first opening paragraphs of Below, and he loved it. CR: What about the other four agents you had contacted? JC: Later that same day I received rejections from all of them. But I didn’t care. I just needed one person who was keen and could appreciate my vision. And since Daniel Lazar was on the top of my list, it couldn’t get any better. I felt so fortunate. Over the next few weeks, he read the manuscript, then we signed a contract. Based on his recommendations, I cleaned the story up a bit more before we sold the three books to HarperCollins Canada several months later. CR: With only one book written? JC: Yes, just Below. I submitted a synopsis for books two and three, but what I ended up actually writing for Above and Beyond was far different than what I originally proposed. Much more complex with the plot and characters, which was what I was aiming to produce. It just took time to weave it all together. 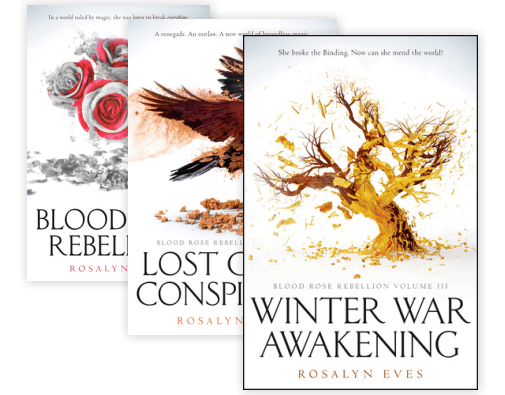 CR: So we have to ask – Has the series ended with your third book, or can we expect more for Elia and Hokk? At the end of Beyond, it felt as if you were leaving us some hints that perhaps there could be a follow up. Or were you just teasing us? JW: Ha! Yes, I get asked that all the time. I’ve received messages from fans who don’t want it to end. I can’t let go of it yet either. So I do indeed have plans for two more books. CR: Fantastic news. Can you tell us anything about them? JC: My fourth book, Years Before, tells the story of Elia’s father long before she’s born, as well as other interconnected plot lines with characters who have already appeared in my first three installments. The title of my fifth book is Months After, which picks up Elia and Hokk’s story again soon after the end of Beyond. CR: Well, we can’t wait for the adventure to continue and to see where you’ll take us next. JC: Thank you! And I can promise, there will be many more surprising plot twists that no one will see coming. CR: All part of your master plan as well? CR: Well then, we won’t hold you up any longer. Get back to writing! Don’t keep us waiting too long. And as a reminder for everyone reading this, be sure to enter the Crossroad Reviews Book Giveaway of all three of Jason’s current books – Below, Above, and Beyond – to make sure you get your own signed copies. 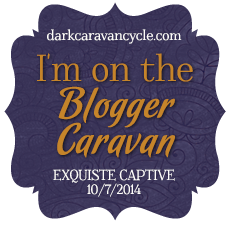 The contest wraps up at the end of August, so don’t delay! Also, visit Crossroad Reviews in the coming days when we will be posting two guest posts from Jason where we will learn more about how he transitioned from accountant to author, as well as where he drew his inspiration for The Broken Sky Chronicles. Jason Chabot is the author of three books in The Broken Sky Chronicles: Below, Above, and Beyond (available nationwide from Turner Publishing Company). To learn more about Jason, check out his website, and follow him on Facebook or Twitter.